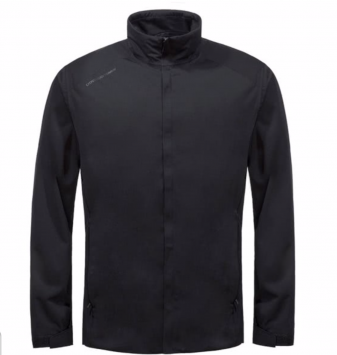 The Cross M Pro Waterproof Jacket offers and delivers comfort, style and performance for on or off the golf course. The M Pro Waterproof Jacket features a two-layer, 4-way stretch lightweight fabric that will enhance movement and mobility as well as deliver extreme levels of comfort, breathability and moisture-wicking properties that will ensure year-round comfort. Cross have used a very specific golf cut that will enhance your every movement. The sleeves have been pre-shaped for extended comfort, the neck is shaped so that you are super comfortable and do not feel restricted when the zip is fully up. To tailor the fit on this superb jacket Cross have added a bottom hem adjuster and the sleeve features an adjustable hem. Two fleece lined side pockets are ideally positioned to keep your hands warm between shots or to store smaller golf or non-golf accessories.